LONDON – The recent uptake of fintech innovations is beginning to change the market radically and enhance and streamline financial services (FS) and upset the current order of things. Further, the modern-day generation of consumers have very diverse habits and needs, and insurers, banks, currencies, payment schemes and financial consulting are all required to change if they wish to hold sway for the rising generations. Incumbent market players are straining ears, with many, however, having made considerable changes to their business models with the view to adapting for the future. For example, block chain technology has proved to have a big number of potential uses and banks want it for their own. Cashless societies are advancing nearer to reality, and in some countries people tend to find that it is increasingly irrelevant to carry cash. Cybercrime is currently large business and safeguarding customers against attack is presently costly and difficult. At its end, the stale insurance sector has been utilising novel technologies to break conventions, and robo-advisors are becoming commonplace in the wealth management industry. 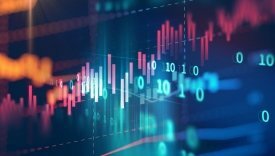 In-demand topical report “Future of Financial Services - Five technological trends changing the banking, insurance, payments and wealth management industries” drawn up by MarketLine is dedicated to canvassing the changing implications of novel Fintech presenting itself in the FS marketplace. The research publication takes a deep dive into the disruptive forces in the payments, blockchain, cryptocurrency, cyber crime and insurance universe. The report offers a refined understanding of whether the hype around these innovations are worthwhile as well as what influence they might exert.